Oxygen is creative, awesome, ultimate one page parallax WordPress theme available with 9 unique home page variations and bundled with $173 worth of premium WordPress plugins and all includes as one product known as Oxygen theme, you get it for just $48. All the plugins are best selling plugins from envato market place and not just a ordinary plugins. Oxygen is one of the simple WordPress theme to work with, which is included with powerful drag n drop page builder will helps you to build awesome website to impress your visitors with stunning parallax animations certainly make them as your customers. Oxygen one page parallax WordPress theme powered by ‘Fresh Framework’ foundation, built using bootstrap 3 framework, 100% responsive layout, retina display ready, suitable for portfolio, creative agencies, freelancers, designers and available with Dark and light skins. Bundled with different types of unique parallax and video sliders with one click demo content. 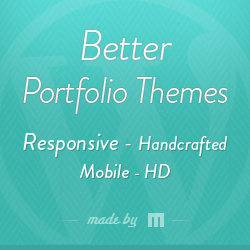 Oxygen theme has valid HTML5 / CSS3 code standards and enabled with ajax portfolio layout.